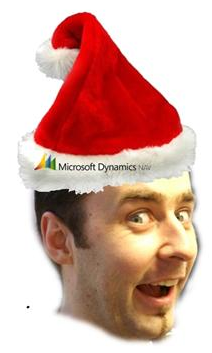 Waldo's Blog - Microsoft Dynamics NAV A SEPA present "between Christ and New"
A SEPA present "between Christ and New"
Title doesn't really make sense .. if you don't speak a little bit Flemish. We call the period between Christmas and New Year like that ... and when I realized it didn't make any sense in English, I thought it would make a perfect title for a blog (i'm all into stupid jokes lately, I know ...). So, hereby, I would just like to say Merry Christmas and a Happy New Year! And we all get a present - at least "we" being "Belgians". A SEPA update - and quite an important one. This release is going to consolidate payments per vendor for multiple invoices, which means, no extra transaction costs and a possibility to combine credit memo's in a payment run!